At my last trip to New York I met Amanda, a former client and a current friend. Over a good Mojito we spoke about the Italian way of hosting, vs the American, particularly on holidays and Sabbath. Passover was around the corner and I thought about our way of satisfying the must-to-have-pasta on whatever Italian banquet: Kosher for Passover lasagna, based on potatoes starch crepes, in a festive mono portion version. This dish might look challenging. The final result though, will amaze your guests. prepare the ragu’ sauce several days in advanced, keep refrigerated or frozen. 2. Prepare the crepes 1 day in advanced, keep refrigerated wrapped in foil . 3. 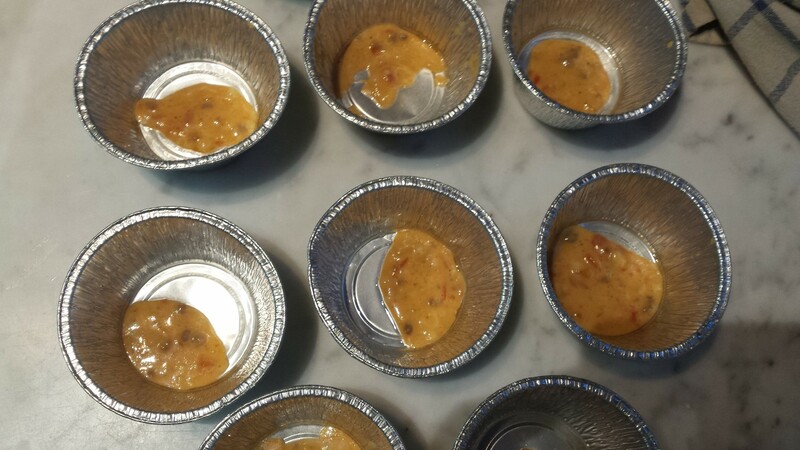 On the serving day prepare the beshamel and assembling, baking just before serving. 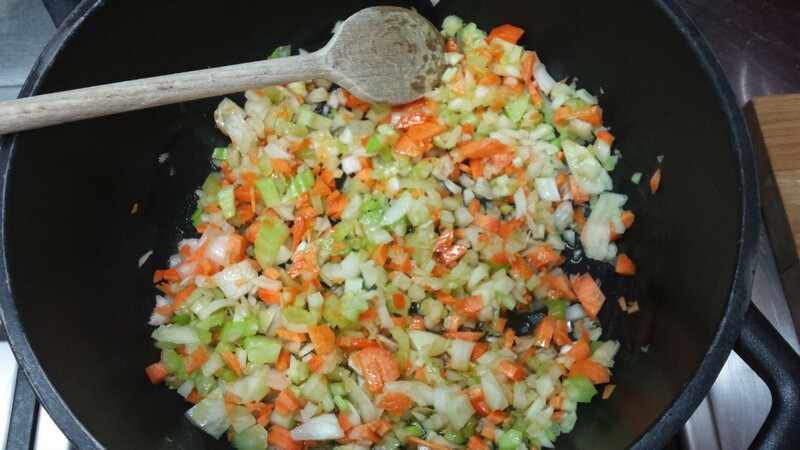 Fry the chopped onion, the carrot and the celery with the olive oil until the onion turns to transparent. Add the meat and let cook for about 10 minutes, while stirring. Adjust with salt and pepper. Add the cup of red wine and let it evaporate for few minutes, stirring often. Add the tomatoes (1 or 2 cans, according to the colour that you want to give to the sauce) after you mashed them with a fork in a bowl. 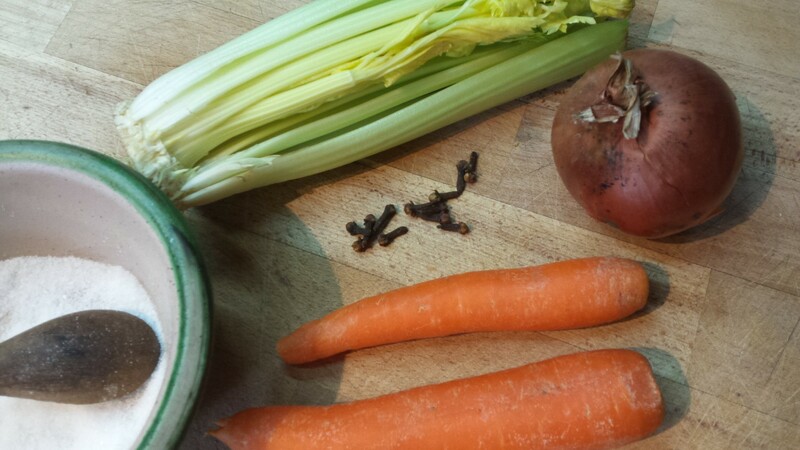 Take 3 cloves, tie them together with a string, leaving one end longer (at the end of the cooking you’ll be able to find the cloves better, and take them out of the sauce). Add the Rosemarie and garlic. 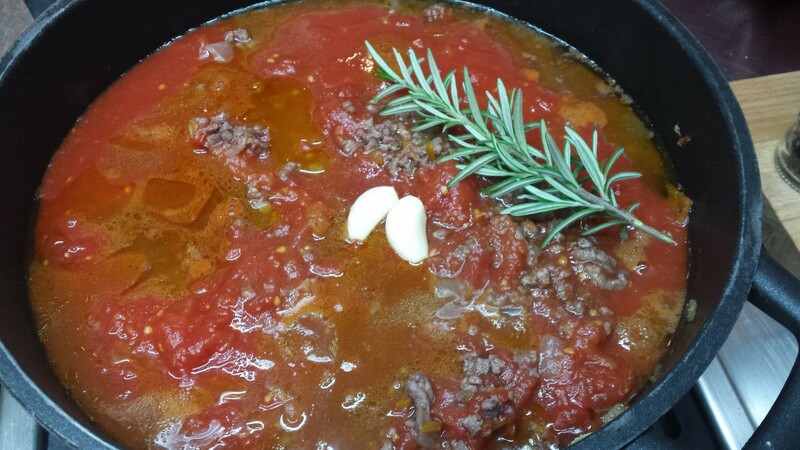 Let it cook on a very low fire for about 1,5 hours, stirring the ragu’ once in a while. Melt the margarine, add all ingredients and mix well, avoiding hunks. 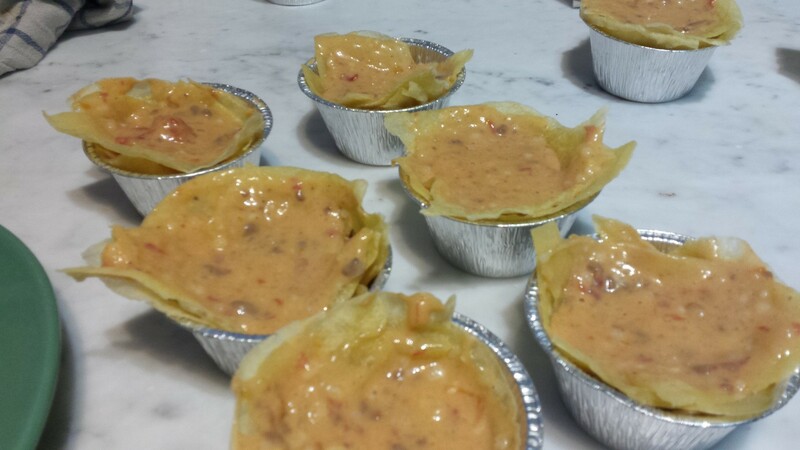 Cover with foil and keep refrigerated at least 1 hour. 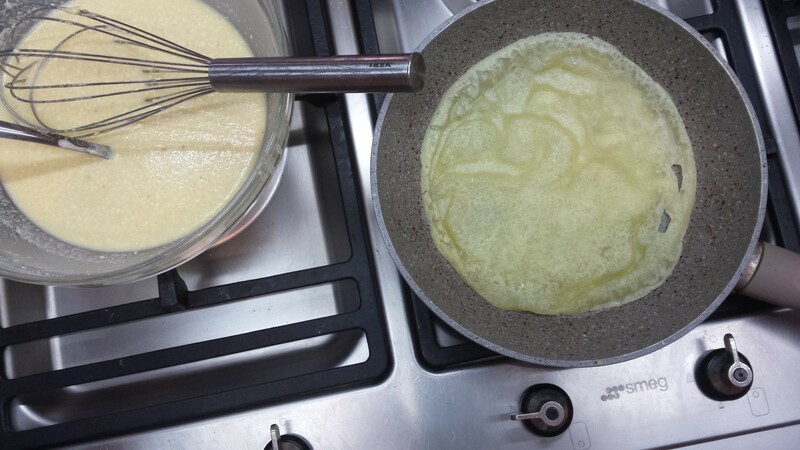 In an oiled hot pan, fry the crepes for about 50 seconds both sides. Crepes should be thin and soft. Stir well the mixture before each ladle you take – again, to avoid hunks. 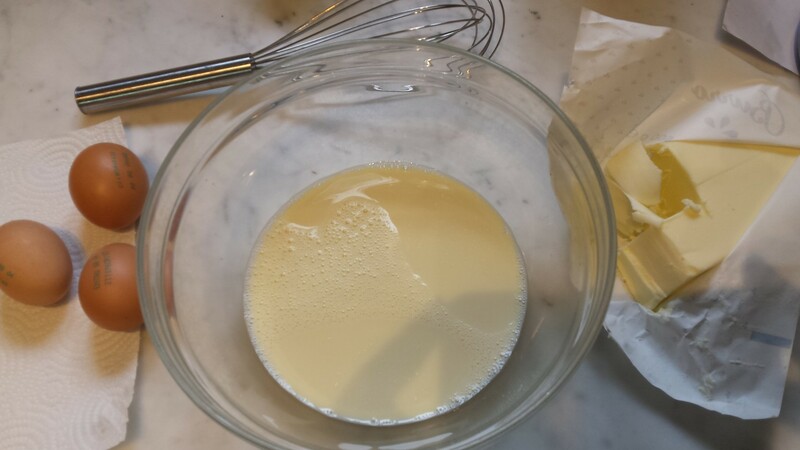 In a pot melt the margarine, ad the potatoes starch stirring constantly. Add the Soya milk in small drops, keep on stirring while adding the milk, keep always low flame. Add the salt. when turn off the fire, add the nutmeg. 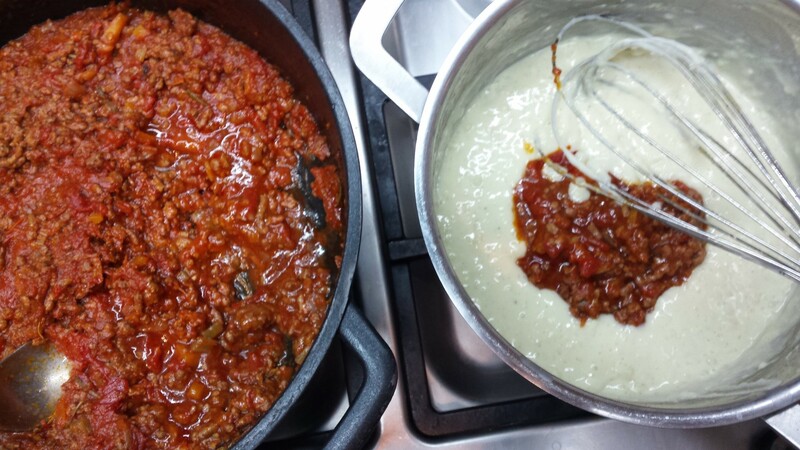 Add ragu’ sauce (previously defrosted, if needed) to the beshamel, mix well to obtain a liquidise texture. 3. 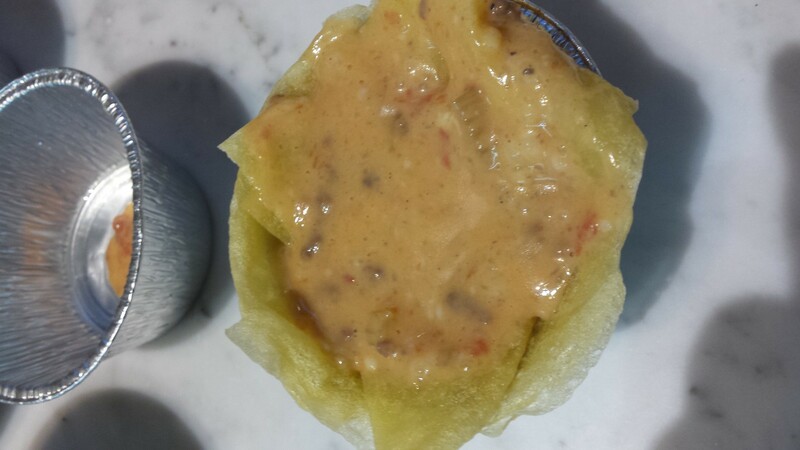 Oil mono portion oven prove forms, and pour a spoon of the ragu on the bottomn. 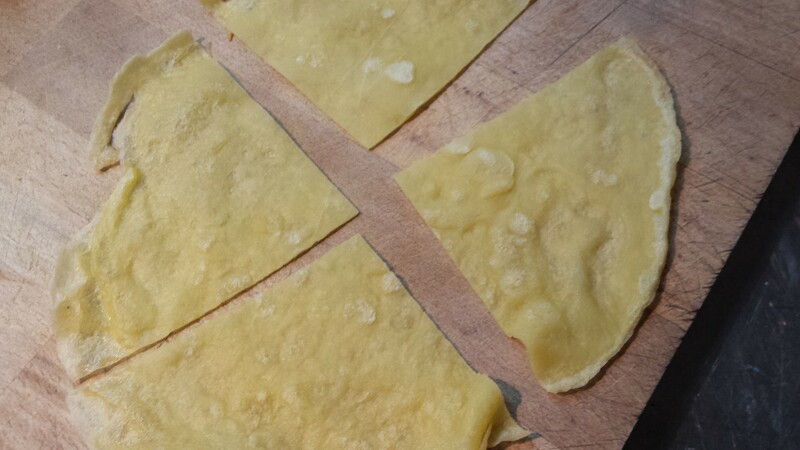 Lay 1 quarter of crepe, cover with ragu, add another crepe, cover again with ragu, and add the third one, folding the ages into the form and cover with ragu. Just before serving, bake on 170c for 15 minutes. I serve it as first dish, accompany with asparagus or green beans.